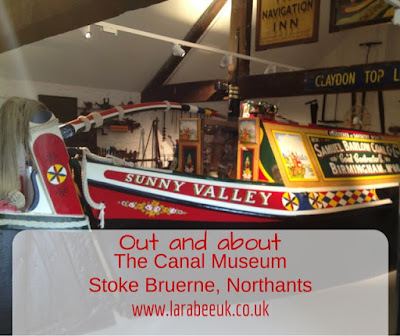 We recently visited The Canal Museum in Stoke Bruerne, a lovely little museum just down the road from where we live. Despite it being so close, I'm ashamed to say that I've never visited there. 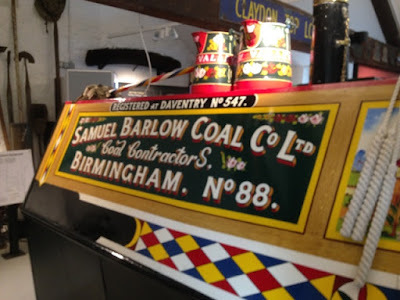 So this trip was as much for me as it was T.
Coming from a big canalling village (Blisworth) I have a real fascination in our local history which has been recently re-ignited by introducing T to canal life history. 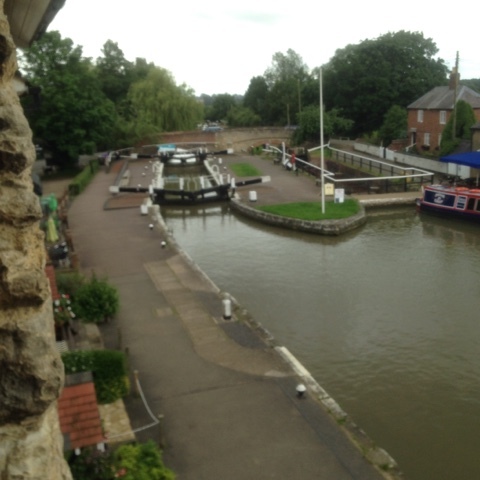 It's been a while since I've been down to the Stoke Bruerne end of Blisworth tunnel so that was really nice too! 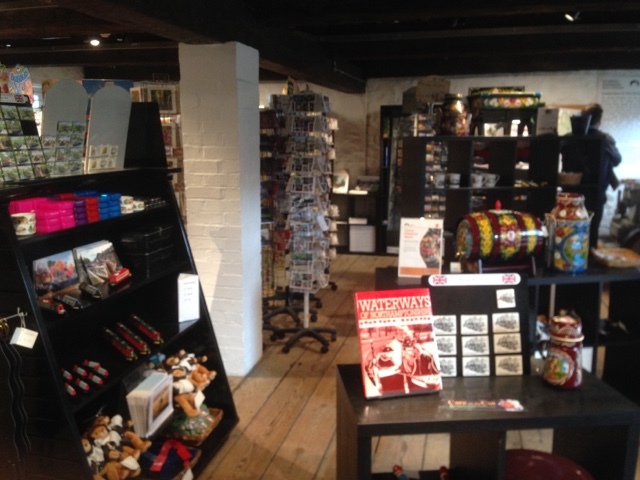 The museum is located on 2 floors, plus canal side cafe, gift shop and an audio walk. The displays contain artefacts of canal life including clothes, iron mongery and miniatures of some local canal features. 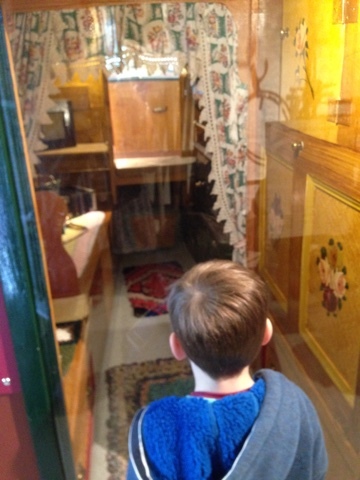 T enjoyed looking in and seeing the quaint little living accommodation, although he was disappointed he couldn't go in! 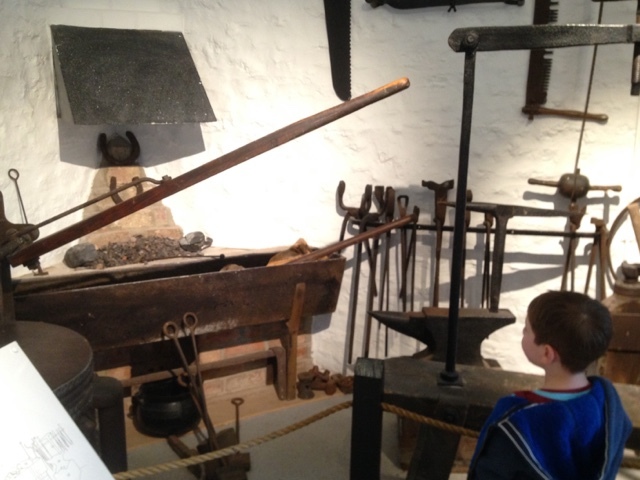 He was fascinated by the iron mongery and carpentry tools. 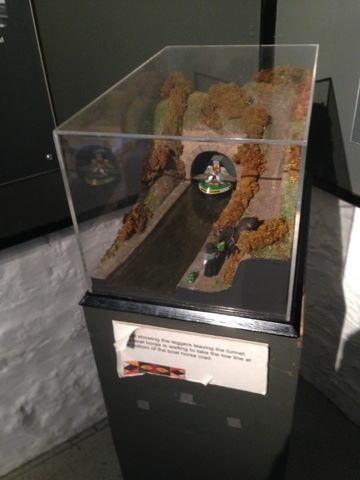 The miniature displays featured local canal highlights like the Braunston tunnel, Foxton inclined plane and wolverton aqueduct. 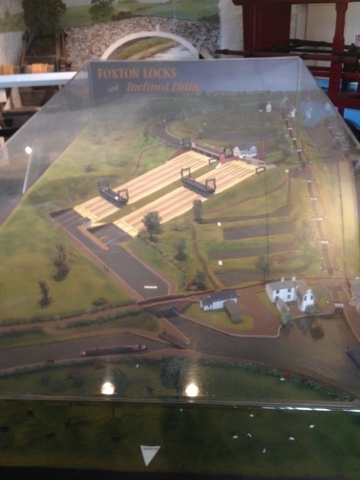 We are hoping to visit Wolverton and Foxton over the summer so it was nice to show these to T.
The exhibits contain everything you need to learn about the canals, from the engineers and navvy's who built them to the leggers, locks men and canal folk who worked them. 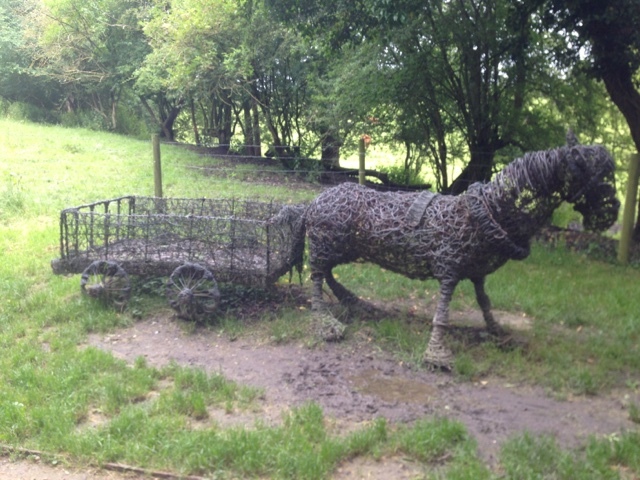 T particularly liked hearing about the leggers and the use of horses to power the boats. 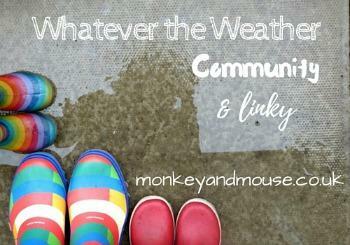 Sadly on the day we visited, the weather was awful but the views certainly made up for it! 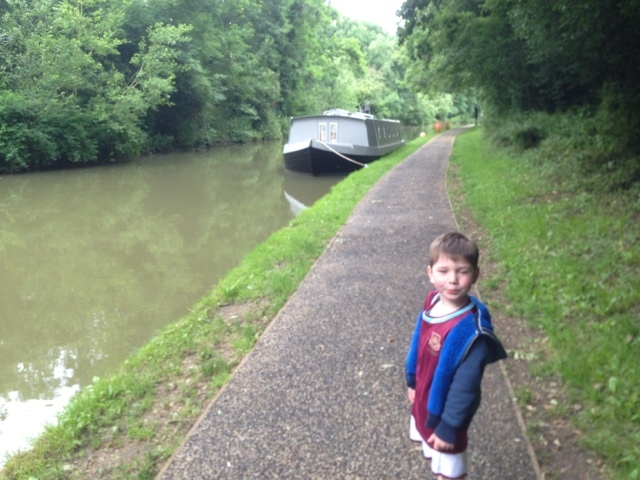 After looking around the museum, we visited the gift shop and T got a mini narrowboat souvenir. 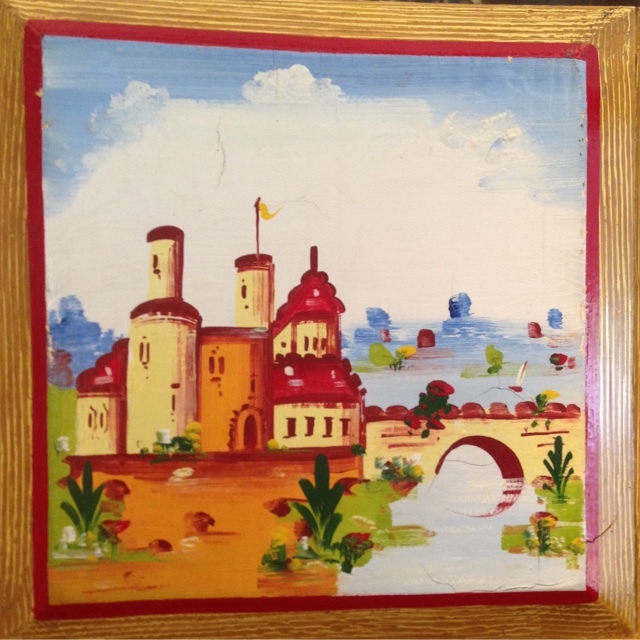 There's a really good range of gifts at reasonable prices. We didn't visit the cafe on this occasion but the prices looked reasonable and the food looked nice. 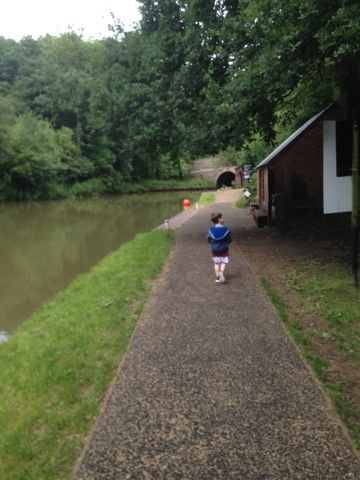 We took the audio trail down to the entrance of the tunnel which is a short walk away, the paths are nice and wide, suitable for pushchairs, wheelchairs and bikes and the hedges trimmed nicely. It's a beautiful walk and one we shall most certainly do again soon. 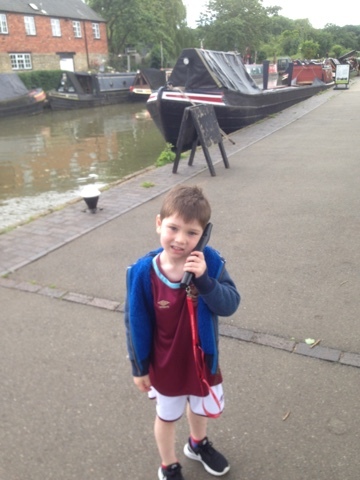 The audio provides sounds and history about the canal, I made the mistake of only getting one handset but T had it most of the time as he was really enjoying listening. 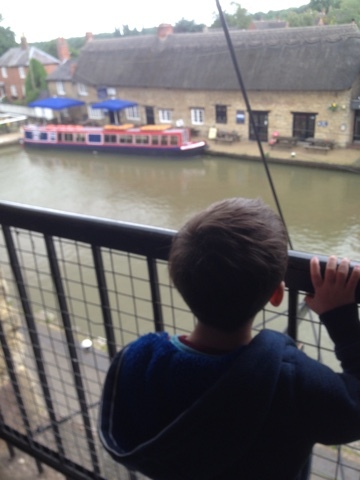 The small bit that I heard was great, re-enactments from canal history I really would like to do the audio walk again on my own when I can concentrate more. The tunnel path goes off to a woodland walk too, we didn't go too far up there as it started to rain, but again it looked lovely and well kept. Someone for us to explore in the future. At the bottom of walk by the bridge there's a lovely iron monger who aw out to talk to us and show T a miniature sword. 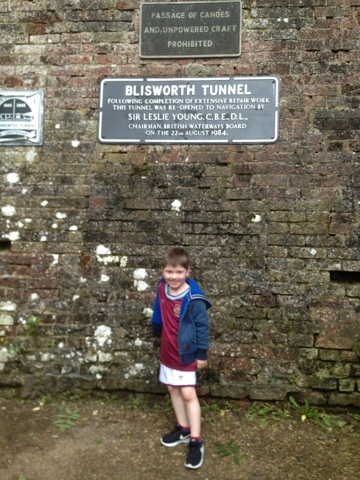 Blisworth tunnel is the longest canal tunnel in the UK, at 1 3/4 miles long it's pretty dark when you get in, it's been a while since I've been through, but both The Hubs and T would like to go through, so I guess that will be something else for this year! 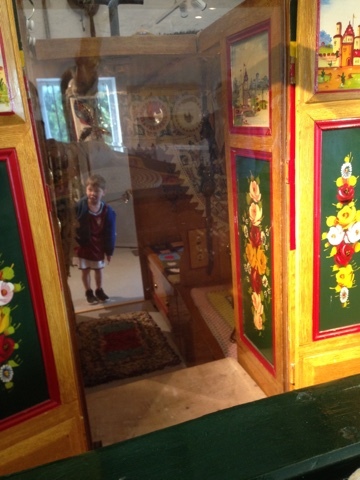 We really enjoyed our visit to the museum and tunnel, it's great value for money and a lovely place to go to if you are visiting Northamptonshire. - The car park is tiny (and expensive!) although there are fields which open up for parking which are a little walk away and much cheaper. Disclaimer: I was kindly given free entry in exchange for our honest review. We paid for our own souvenirs. We love our canal heritage too, this museum looks great and we'd definitely pop in if we were up your way. I bed the tunnel is quite something to go through!